Shiseido fragrance and perfume list. 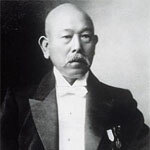 Founded in 1872, Shiseido is one of the oldest cosmetic companies in the world. Its strength as a leader in skincare is based on its advanced product technology. With a company mission dedicated to high quality, high image and high service, Shiseido continues to deliver on its philosophy: "This moment. This life. Beautifully."